I’m sure you are well aware of the basic architecture on which the ‘World Wide Web’ functions. Invented by Tim Berners-Lee in the CERN Laboratories in Geneva, the Hyper Text Transfer Protocol(HTTP) is the foundation of the Web and HTML. Before the introduction of HTTP, publishing content on the web was an expensive affair. HTTP managed to drop the publishing cost significantly and liquefy information distribution making things not only convenient but also accessible. I’m sure you could not imagine the world without HTTP and neither can I. There always seems to be enough room for groundbreaking ideas and inventions, and the Inter-Planetary File System(IPFS) is one of them. The Inter-Planetary File System or IPFS as they call it is a peer-to-peer hypermedia protocol. I’m pretty sure you are an avid user of peer-to-peer file sharing clients such as BitTorrent, µ-Torrent or Vuze. To make things sound simple, IPFS pretty much functions the same way. Think of it as a single BitTorrent swarm exchanging and sharing data through multiple computers storing the same file. Juan Benet, the founder of Protocol Labs, propels the IPFS project forward with the intent of replacing protocols like the HTTP that have been a part of our lives for so many years. Why was it necessary and what makes it so unique? The main aspect of the IPFS is a decentralized distribution of information that aims to make the Web faster, smarter, safer and more open. Conceptually, the IPFS is a force to be reckoned with. You could say it is a revolutionary attempt to solve the problem of HTTP being too dependent on the internet backbone. 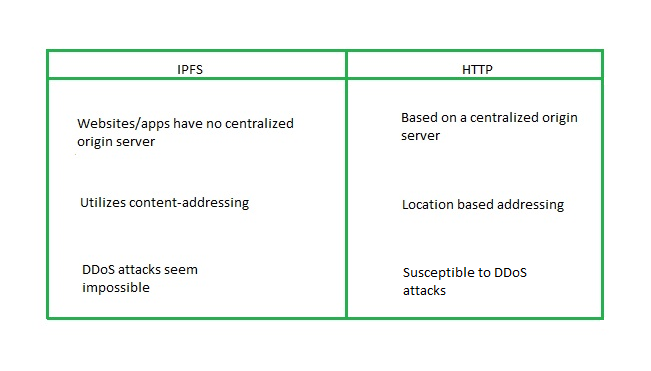 Operationally though, it has to be groundbreaking to replace HTTP because our whole infrastructure is dependent on it. As explained in the above paragraph, it is an interesting concept but it is only used by a fringe minority. IPFS is still not that prominent to the tech folk in the Valley. Until its adoption peaks, there really is no urgency to make any changes. Change is change now, and we are ever ready to welcome it. So keeping an eye on emerging technologies goes without saying. If and when the basic protocol of the web changes, the entire architecture like routing, hosting, data transfer and internet security will undergo radical changes and we at ResellerClub would like to see ourselves as the vanguard of it all. Feel free to express your enthusiasm on the same, I’m sure the IPFS has got you to put your thinking cap on.